HEBREW WIZARDS is Experiential! 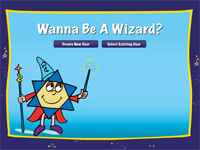 HEBREW WIZARDS is Fun! HEBREW WIZARDS is Awesome! Hebrew Wizards is a unique Jewish experience. Wizards intertwingles the spirit of summer camp and the fun of Color War with concrete learning. Our approach is fresh and innovative as we master our Hebrew reading skills, we converse in Hebrew with our friends, we act out our stories of the Bible, and learn our prayers by "praying with the Wizards" each class. Our goal is to instill the love of Judaism so that our children and families can feel proud to be Jews. Through our team teaching and team learning approach we help build the Jewish foundation that can serve your child for life. 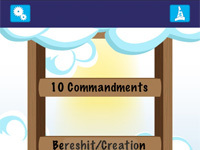 At Wizards, we have fun as we teach the Wizards mastery list of Jewish knowledge. We want your child to know that there is a strong Jewish community and through our various Wizards events every child will make great friendships that will last a lifetime. Our congregation allows children and families to learn to pray together and connect spiritually through Judaism. Our family services are traditional, spiritual, creative and musical to enable us all to "pray from the heart". Our Teen Wizards program allows Teens to learn to work together to help run the amazing Wizards program. We have Teen Wizards who have already had their B Mitzvah and now provide guidance and encouragement as they model friendship while they help teach our students. Our B Mitzvah class is stellar as it culminates in a service where the student recite the prayers, chant from the Torah and explain the meaning behind prayers to engage all who are present. This service is filled with beautiful music, poems and lovely interpretations of that week's Torah portion. Through the beautiful songs from our musicians and the insightful teachings by Rabbi Deborah, your family will connect spiritually and joyfully as your child leads his/her entire service.